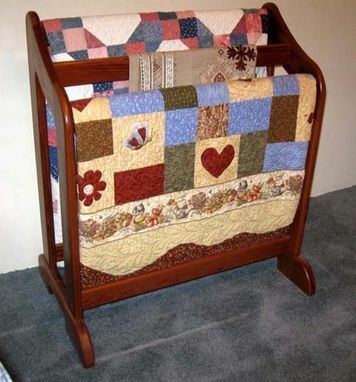 This quilt stand is 33" x 20" x 36" high. 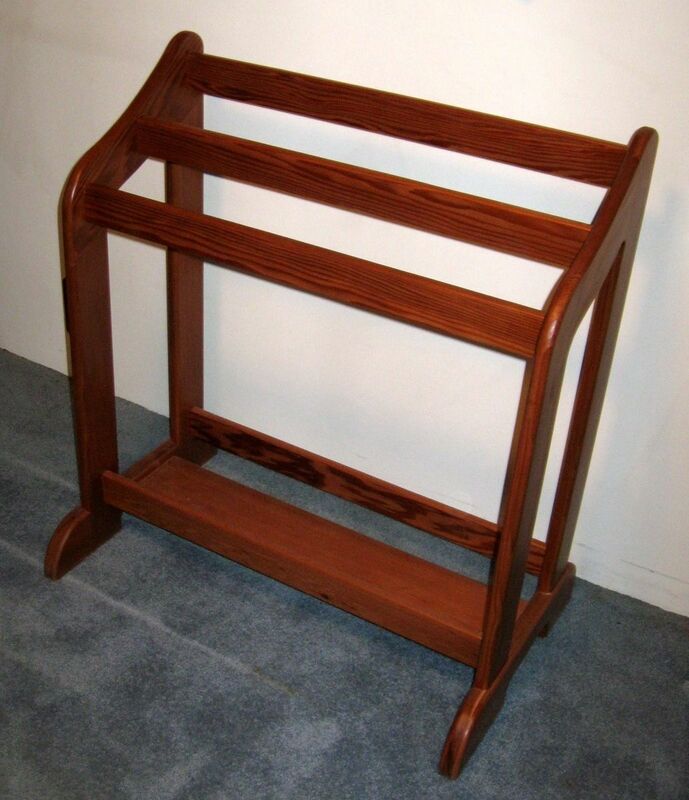 The "red" one is made from recycled California redwood. In its former life it was a bookcase at a local college. 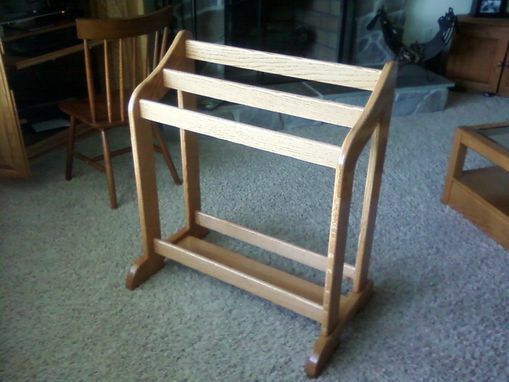 The other quilt stand is made of red oak.